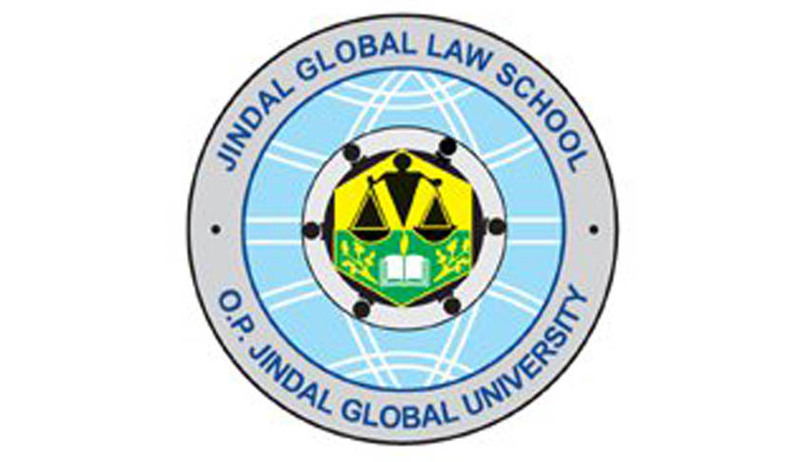 Jindal Global Law School (JGLS) has invited paper for Jindal Global Law Review (ISSN 0975-2498). The journal is published bi-annually and is double – peered reviewed journal. The aim of JGLR is to publish inter-disciplinary scholarship at the intersections of legal theory, critical theory, political economy, international relations and the humanities. The journal lays emphasis on publishing work that is at the cutting edge of doctrinal, theoretical and empirical research. The subject expert of JGLS faculty edits the Journal. The theme of the Journal is on a contemporary topic to rigorously explore its legal, political, social, economic and policy dimensions.JGLR encourages scholars and researchers from disciplines other than the law to contribute their work to the journal. Through the 1980s and into the 21st century, a number of wide, sweeping changes have been witnessed in the way how corporations are governed. Whether it is the shareholder value maxim that emerged in the 1980s, or the corporate governance failures that led to the Sarbanes-Oxley Act of 2002 and the legislations it inspired, or the Dodd-Frank Act of 2010 which considers shareholder empowerment and enhanced executive pay disclosure, the law related to corporations is one that is in a constant state of flux. With Berle and Means’ seminal work in 1932, followed by Merrick Dodd’s response, the debate as to whether corporations exist for the sole purpose of maximizing shareholder wealth or also for the purposes of social welfare continues to rage. The application of the stakeholder primacy model in alternative forms of businesses such as community-based enterprises or microfinance institutions would be of considerable interest. Another issue that dogs current developments in the corporate jurisprudence is that of corporate social responsibility. Section 135 of the Indian Companies Act, 2014 mandates companies meeting certain requirements to compulsorily contribute to corporate social responsibility (CSR) activities, or explain the failure to do so. This mandatory provision in Indian law in question has been met with considerable resistance from the industry. A vibrant and efficient financial sector is the prerequisite for a strong economy. The economic reforms and the second wave of liberalisation that India is presently embracing calls for more efficient and inclusive financial system. Additionally, the recent financial crisis has brought the deficiencies in the financial regulation to the fore. The policy makers in India seem to have taken note of these exigencies and thus have proposed changes in the financial sector regulatory structure by way of Financial Sector Legislative Reform Commission (FSLRC) report. In the backdrop of the mentioned developments, it has now become pertinent to scrutinise laws and regulations in the financial sector globally in order to support and strengthen economies. China and India and countries at similar positions are faced with similar challenges to maintain the aggressive rates of economic growth. While these countries attained economic independence in the late 1940s, each followed a different course in terms of growth. For example, China preferred to open up its economy to FDI much earlier and only in recent times, has it turned towards domestic capital. India, on the other hand, began by attempting to develop local talent and began focusing on foreign participation in 1991. The political and economic background and the resultant corporate governance paths undertaken by countries in the same vein of growth may be examined. The constituent elements of the board of directors, as an agent for shareholders have been well established post the Sarbanes-Oxley Act of 2002. The introduction of independent directors and a committee structure at the board level and task specific requirements for committee composition have brought up interesting questions in both developed as well as emerging economies. At the same time, gender diversity on corporate boards has become a global issue. In countries such as the U.S., Australia, U.K. and more recently, Canada, regulations require listed companies to disclose their diversity policy in their annual reports. A major issue faced by companies, particularly those with concentrated shareholding, is the diversion of assets for non-corporate use. Whether through managerial remuneration or through self-dealing, the abuse of related party transactions has been the subject of considerable study and concern for regulators in recent times. As mechanisms to combat the abuse of related party transactions, corporations are subject to disclosure norms, shareholder approval and anti-pyramid provisions. The efficacy of such provisions to prevent the abuse of related party transactions is of significant interest. Economies having a predominantly concentrated shareholding pattern in their corporations continue to grapple with the issue of opportunism of the majority shareholder vis-à-vis the minority shareholder. Thus arises a need to determine and assess the effectiveness of minority shareholder protection. With the advent of new technologies and more effective means of widespread communication, the classical concepts of registered offices, board and shareholder meetings are being replaced by newer practices of virtual offices and video conferencing. At the same time, newer ways of fundraising in the form of crowdfunding has emerged, perhaps bringing about a new form of shareholder dominance which was hitherto unknown. In the aftermath of the 2008 financial crisis, small businesses found it increasingly difficult to raise funds. As a response, crowdfunding has emerged as a viable alternative for sourcing capital to support innovative, entrepreneurial ideas and ventures. With the swift growth of the crowdfunding industry, risks associated with it have also come into sharp focus. Submissions can be in the form of articles and book reviews and should be emailed to us at jglr@jgu.edu.in in an MS Word *.doc (Times New Roman, font size 12, double spacing) format. Book reviews should be of 3000 to 4000 words (including footnotes). Footnotes should conform to the requirements of The Bluebook: A Uniform System of Citation (19th ed.). Since JGLR follows a double-blind peer review process, it is imperative that contributors stick to the deadlines. For further information or clarifications, you may also write to us at abmajumdar@jgu.edu.in or ftajuddin@jgu.edu.in.